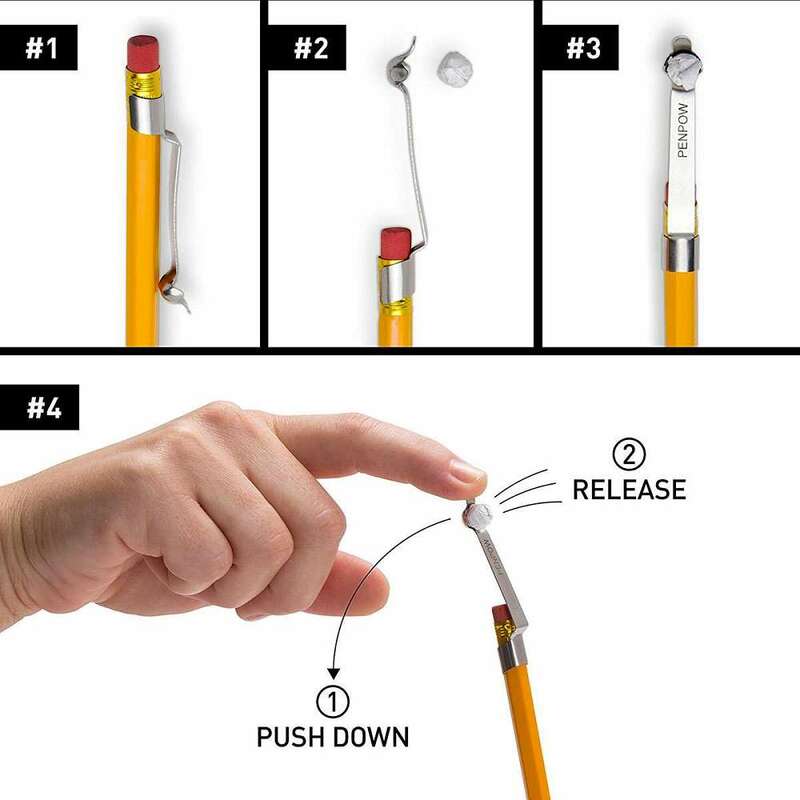 Peleg Design calls their PenPOW pencil-mounted slingshot "your secret weapon against boredom." 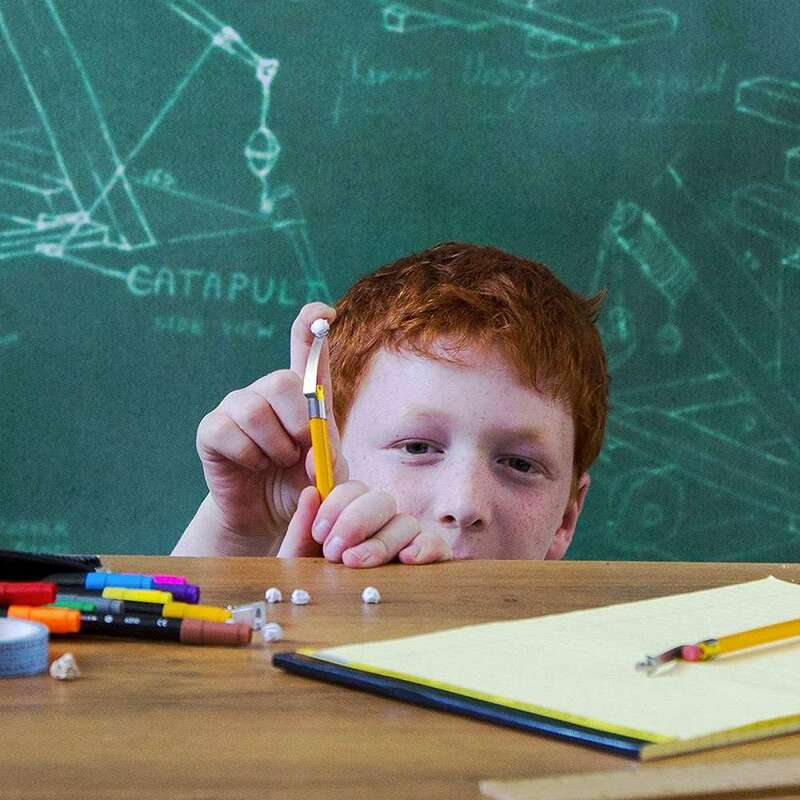 And since we all know boredom runs rampant in classrooms and cubicles, we should probably take this opportunity to protect our children and invest in some gifts for the office that will combat the assault. 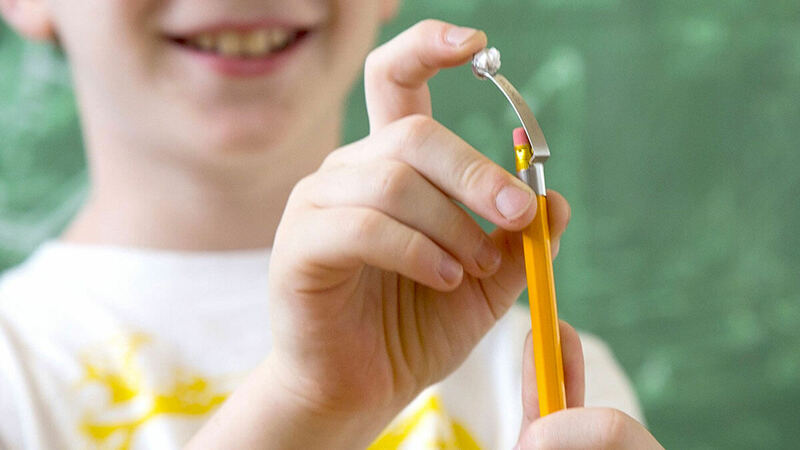 Sold in 2-packs, the PenPOW is a 2.2" long clip that grips onto any standard pencil. Point its arm downward when it's time to learn long division / write out your taco order so Bob doesn't F it up again during his turn to do the lunch run, and then, when the attack is imminent, turn the graphite-hugging slingshot 180 degrees, think about sucking on a lemon, and get those spitball projectiles ready! 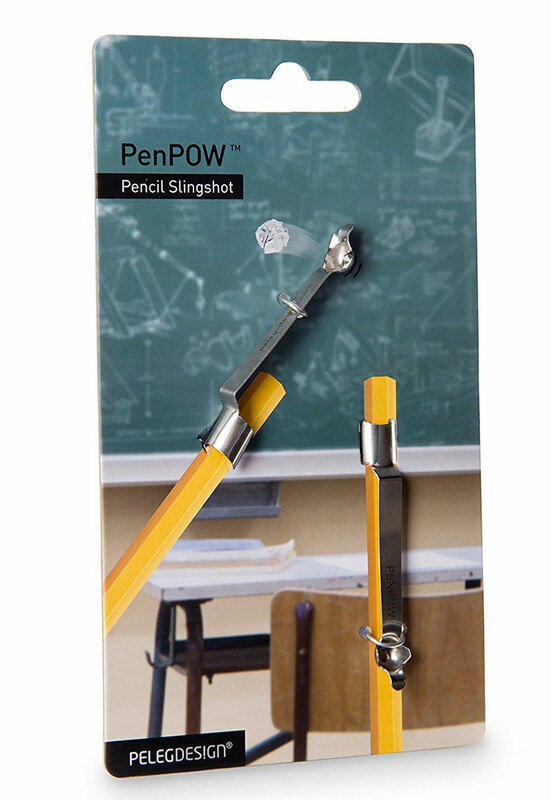 PenPOW pencil slingshots are made of spring steel.